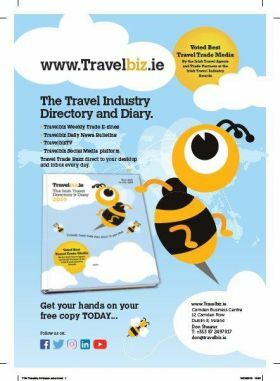 Did you get your Travelbiz 2019 Directory Diary? The all new 2019 Travelbiz Directory and Diary has now been delivered worldwide and we want to make sure you got your all new copy of our biggest and best publication to date. Please contact jim@travelbiz.ie if you need extra copies as we have a number of extra copies given the extra demand for this year’s publication.